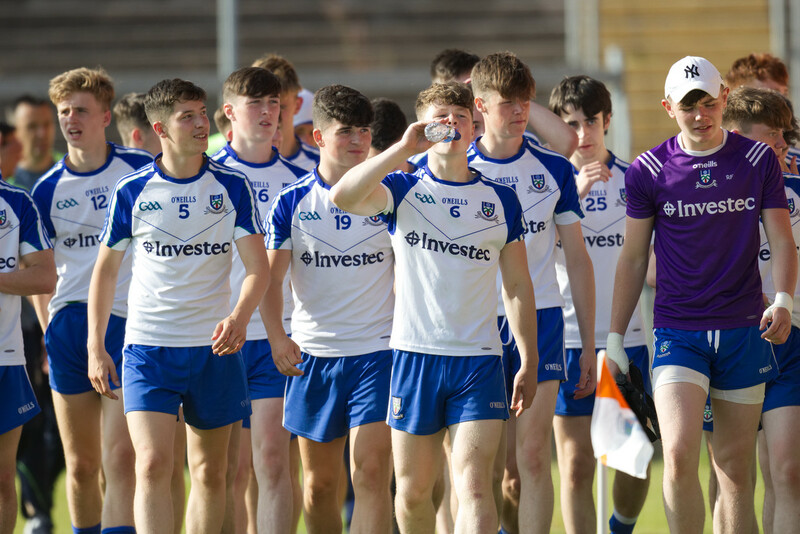 Monaghan qualified for the Ulster MFC Final (the county’s first since 2013) with a dominant win over Cavan in Armagh on Sunday. After a slow start, Monaghan went on to lead by 1-5 to 0-1 at half-time, inspired by a Karl Gallagher goal and four points from Seán Jones. 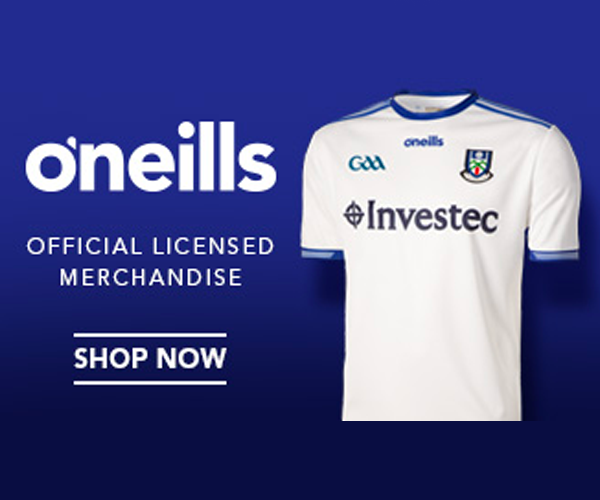 Cavan had Dara Sheridan sent off on 21 minutes and although they made a better start to the second half, with Emmett Boylan netting a penalty, Monaghan pulled away again and the impressive Aaron Mulligan notched his side’s second goal to put the result beyond doubt. 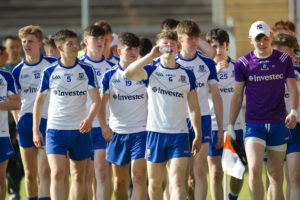 Cavan grabbed a consolation goal through substitute Eoin McCaffrey, but they finished with 13 players after the late dismissal of Peter Smith, by which stage Monaghan had done enough to advance to a rematch with Derry in the final (due to be played on the weekend of July 13-15). Monaghan: R Farrelly; J McGeown, J Doogan, S Hanratty; C Flood (0-1), B Óg Ó Dufaigh (Capt. ), M Meehan; L Power, A Moore; K Gallagher (1-0), A Mulligan (1-4, 0-1f), J McGarrell (0-1); J Irwin, S Jones (0-6, 2f), D Swinburne (0-1). Subs: M Mooney (0-2) for Irwin (50 mins), O O’Hanlon for Doogan (53), J Wilson for Power (54), R Hanratty (0-1) for Jones, E Duffy for Flood (both 56), D Dempsey for Mulligan (58). 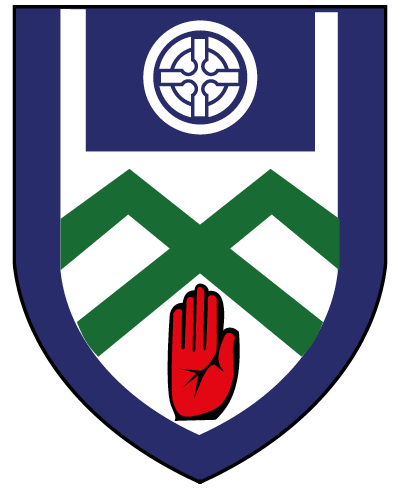 Cavan: B O’Rourke; N Carolan, T O’Reilly, D Sheridan; P McPhillips, S Donohoe, C Boylan; M Veale (Capt. ), R O’Reilly (0-1f); C McGovern (0-1), E Boylan (1-0, pen), D Keappock; O Brady, E Clarke, T Madden. Subs: K McGovern for Donohoe, P Smith for R O’Reilly (both H-T), E McCaffrey (1-0) for Madden (35), F O’Reilly (0-1) for Carolan (37), J Trainor for Brady (44), D McGurren (0-1) for T O’Reilly (53).